As you guys know a few weeks ago I got a HD Brow treatment which I'm not going to lie, boosted my eyebrow game. Please excuse my lack of modesty. I knew when I had my eyebrows done that I wanted to say farewell to my Rimmel London Eyebrow Pencil, it's been the only thing I've used on my brows for the past four years and it was time to move on. After much consideration, Youtube video watching and blog review reading I decided to buy myself the Anastasia Beverly Hills Dipbrow Pomade, although I'd heard it can be difficult to use, it was responsible for all of my favourite eyebrows on the web so I couldn't not try it out. The Dipbrow Pomade comes in a wide variety of shades, a lot larger than most eyebrow products that only come in your standard 'light', 'medium' and 'dark'. I was torn between the shade 'soft brown' and 'medium brown' but decided to throw caution to the wind and go for the darker of the two and bought 'medium brown'; the bolder the better, right? On application I found that 'medium brown' matched the colour of my brows well, but I definitely couldn't afford to go any darker. The shade gave me the bold, defined brows that I desired, so I'm definitely happy with the choice that I made and I would recommend you read the matching advice if you're unsure too on what shade to pick. Before I even used Dipbrow I did a load of research on how to apply it as I'd heard it's a bit of a mare to use and I wanted to be prepared. The main bit of wisdom that I got from my various sources was to be light handed throughout application and that a little would go a long way. I can not echo this advice enough! When I pick up the product onto my brush I don't push into it at all, I literally just lightly rest it on the top of the pomade and what that picks up really is enough at a time. I think knowing this information has made this product a hundred times quicker for me to get used to as I actually find this a really effective, really easy product for the brows. So if you take anything away from this post, definitely let it be to be ultra delicate and light handed with this product. I was a bit worried when I first bought it that I wouldn't be able to achieve gorgeous brows with this as I have a really crappy, cheap angled brush but despite my bad quality brush I've still been able to have amazing results with Dipbrow. It glides on effortlessly and gives instant definition to the whole of my eyebrow, especially the all important arch and tail. I've also had the pleasure of kissing goodbye to the 'did I just wipe my eyebrow off?' worry as the Anastasia Beverly Hills Dipbrow Pomade stays put for the whole day, making my brows sweat and clumsiness proof, which is especially perfect as we're creeping closer to summer now; no worry here about sweating off my eyebrows. For me, Dipbrow Pomade has been an undeniable game changer; the seamless, high definition look that it creates on my brows is unbeatable. 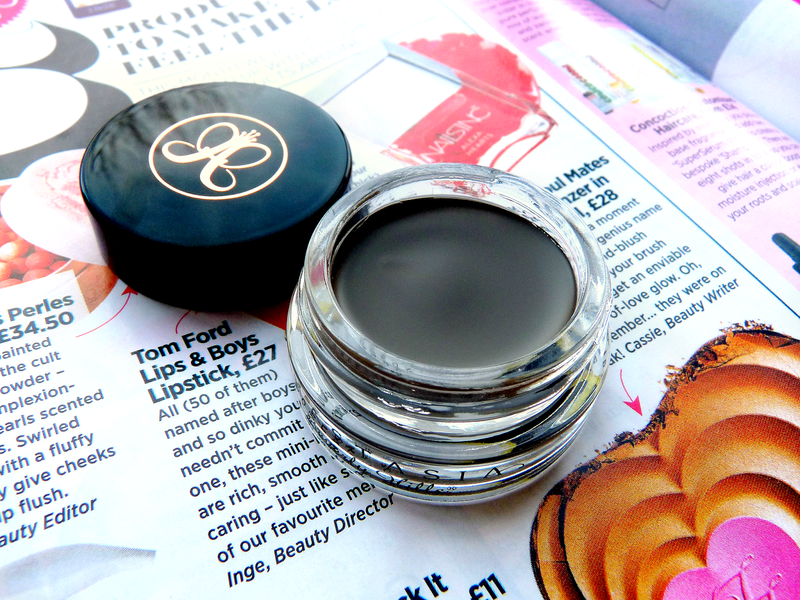 It creates a clean cut, sharp shape every time I use it and always leaves me feeling confident in the brow department. 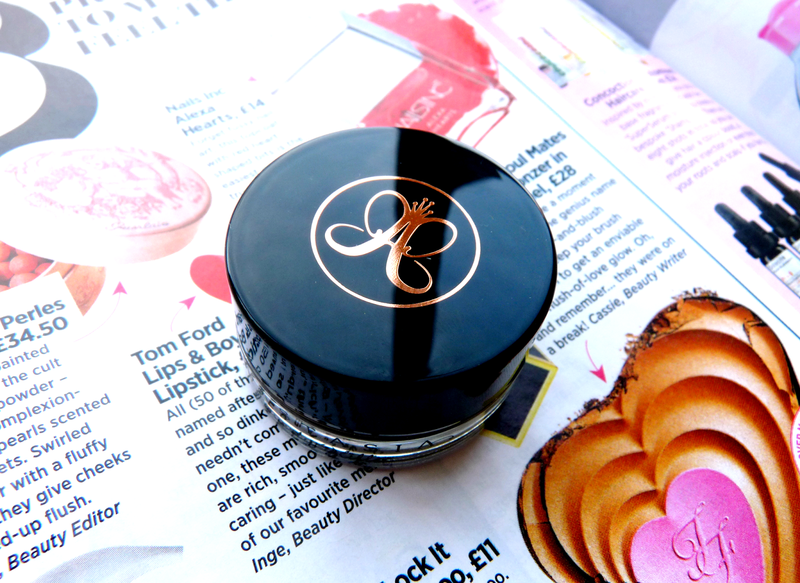 Have you tried Anastasia Beverly Hills Dipbrow Pomade? Ps. Enter Youwishyou's advertising and beauty bundle giveaway for a chance to win make-up from MAC, Make-up Revolution and Collection! I've been waiting to buy this! I just don't know which shade to go for. i have this and adore it! I'm currently on the hunt for my holy grail brow product. I have the thinnest, sparsest brows in the world and am always at war with them, trying to make them look not so non-existent! I've seen this crop up a few times on blogs now and I'm certainly intrigued! Think I'd be deciding between the same two shades as you too! It does sound quite tricky to use though, not sure I'd have the patience!